It’s time to take control of your career. By franchising with NOVUS Glass , you’ll own your hours, your success and your future growth. Click below to start exploring what a windshield repair business with NOVUS can be. Your success is our success. We want all our NOVUS Glass franchise businesses to succeed and grow. Click below to learn about the support and tools we provide to support your business. Whether in a fixed location or as a mobile unit, choosing NOVUS Glass gives you the flexibility to start the windshield repair business that makes sense for you. Learn more about these options by clicking below. Starting an auto glass franchise business can be intimidating —if you do it alone. Partner with NOVUS Glass and you can be open for business in as little as two months. Click below to start the clock. Whether you’re looking to enhance the value you already provide your customers or you want to be your own boss for the first time, NOVUS Glass gives you the credibility, tools and innovative products you need to succeed. Along with a strong foundation, we provide you with the support you need to grow each year. That means an advertising and marketing program tailored to your needs in order to back up the immediate momentum of our brand recognition and referral network. With over 1,300 service locations in more than 30 countries – 240 in North America alone – we’ve remained the leader in windshield repair since 1972. Owning your NOVUS business is all about the flexibility to decide how you spend your time. With over 2,000 locations in 43 countries on 6 continents, a NOVUS franchisee instantly becomes a part of worldwide brand recognition. NOVUS holds more windshield repair patents than the rest of the industry combined. That’s expertise. Auto Glass Repair Franchise Opportunities Are Available In Your Area! 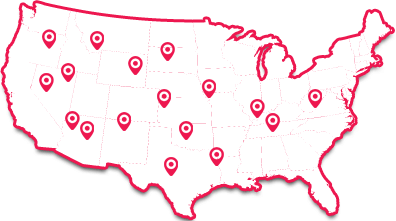 Find locations that are available to open your own NOVUS Glass franchise.